If you’re an avid whisky drinker, you might want a membership. Joshua Hatton and Jason Johnstone-Yellin, well known whisky connoisseurs, have partnered with Seth Klaskin, to form the Jewish Single Malt Whisky Society. “Joshua and I started as whisky bloggers. 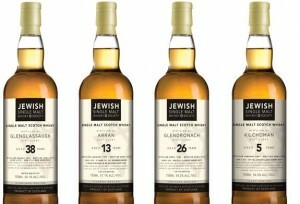 He actually had the name Jewish Single Malt Single Whisky. As bloggers, we started to build a lot of contacts within the whisky industry and we started to build these relationships. Neither one of us gotten into blogging thinking we would make it into a company. We were total whisky nerds and remain whisky nerds,” said Jason Johnstone-Yellin, Vice President and Co-Founder of Jewish Single Malt Whisky Society. The membership only group will release a limited number of “single cask, single malt, natural cask strength whiskies” throughout 2012 to its tiered membership base.